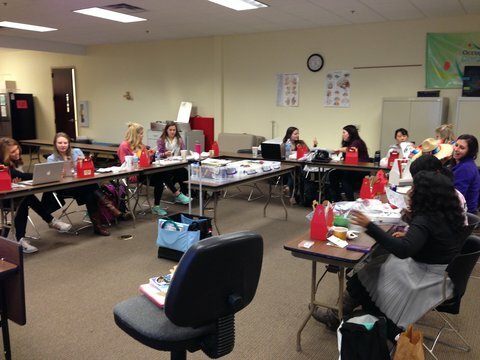 Occupational therapy students at Brenau University enjoyed a three-hour program learning about assistive technology. They were given an overview of AgrAbility and the different types of assistive technology used on farms. The day ended with an interactive hands-on workshop in which students made various low-tech assistive technology items. The workshop was taught by Rebecca Brightwell.